Why Wool? This 100% Felted Wool Ironing Mat retains heat, so when you iron your fabric it's like ironing from both sides at the same time! Your Ironing Mat works with a variety of fabrics to meet all of your sewing demands. 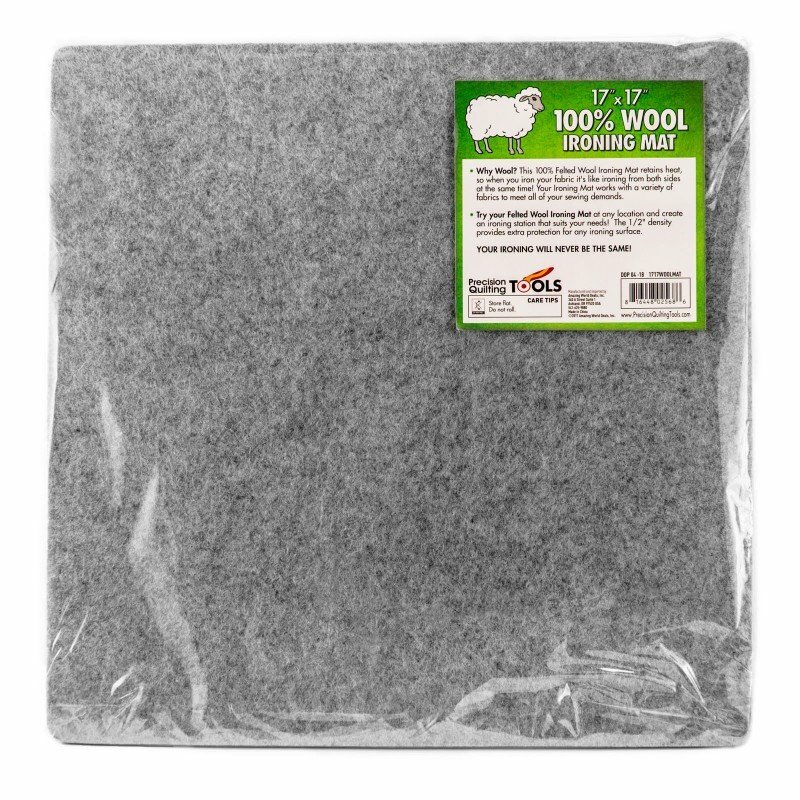 Compressed felted wool matt is 1/2 inch thick x 9 x 9; convenient for travel or home station set up next to machines. 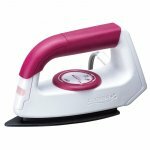 Portable for Travel: 1/2" density provides extra protection for any ironing surface. Try your Ironing Mat at any location and create an ironing station that suits your needs! ​Efficient Pressing: This thick wool pad will keep your fabric stable while ironing to minimize stretching. Projects including appliqué, embroidery, yarn/knitting projects can be pinned into the wool for easy blocking. Works with steam or sprays. Click for Clover Wedge Mini Iron companion item!